I took the picture with my iPad so the quality of the photo is not so good. Some of the beaches I have to hike to in order to reach them but that's part of the fun. 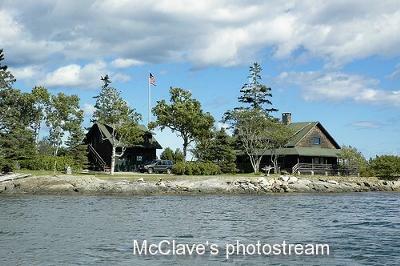 Bar island is a tidal island in Bar Harbor, Maine, USA. 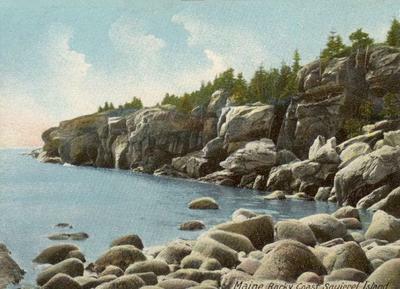 "The Bar", a muddy stretch of land, connects Bar Island to Acadia National Park on Mount Desert Island. 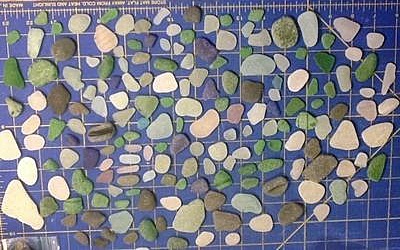 We had never collected Sea Glass when we traveled to Maine . The rocky shores of these beaches make it easy for it to get trapped as the tide rolls in. Went out this morning around low tide and found about seven pieces. Mostly small pieces but a couple larger ones. Today June 16 I averaged more than 30 pieces an hour. I found a lot of light blue and green. 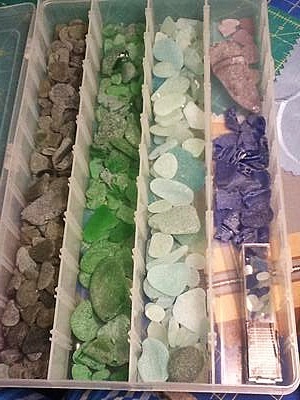 It's one of the best places to find sea glass in Maine. 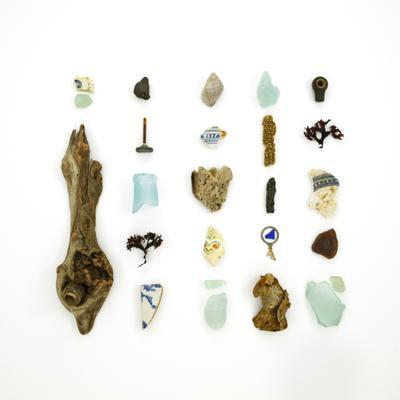 I read that there was sea glass at the south part of Saco Bay. 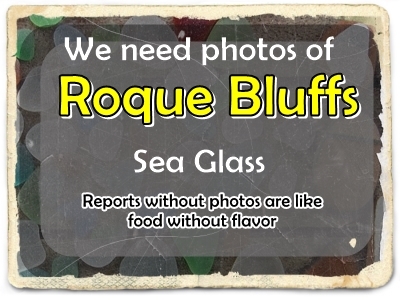 There is glass but it is not cooked (frosted and rounded) at all.